Growing up as one of eight kids, I learned a few things about traveling with family. Trips for us meant piling into our 12-passenger van for cross-country road trips. It took a lot of coordination, patience, and planning to travel with that many people. Fortunately, my parents found adventures and places that we all enjoyed and could afford—and our family still likes to travel together today. These days, there are three generations involved, so travel still requires coordination. We need to find places and activities that work for the littlest grandkids on up to my 78-year-old parents. It’s easy to sit around and talk about traveling together, but someone must put your plan into motion. It helps if there are at least two people to take the lead. It’s easier to get motivated when planning is a team effort. Start by gathering ideas from your family, and then put together a list of options. Then, send out the list of options for family feedback. It’s important to consider any geographical, budget, or physical limitations your family members might have. Budget is the first big consideration. You don’t want anyone to be left out because the price point is out of reach. Money can be a sticky subject, but if you discuss a vacation budget ahead of time and determine how it will be paid for, you can avoid hard feelings. When my siblings and I were young adults with babies, my parents would rent a few big cabins for our group one week a year at the YMCA of the Rockies in Colorado. My parents covered the cabin rental, but each of us was responsible to get our families there. For meals, each family was assigned to make a meal or two for everyone. We also took turns with the cleanup. That way, our meals were inexpensive, and no one had to shoulder all the work. Sure, one of my brothers can’t cook at all, but he can make chili—and he’s made that for our family vacations for the last 15 years. Now that my siblings and I are older, we take care of our own travel expenses on family get-togethers. We’ve found that it’s best to consider accommodations and vacations with different price points. For example, we still visit the YMCA of the Rockies, which offers everything from budget lodge rooms to large cabins. Everyone books the room they can afford, and then we cook all the meals together at one main cabin. Renting cabins, condos, or houses works well for multi-generational travel. It’s often less expensive than booking hotel rooms for everyone and offers a kitchen and living room to talk or play games together. Vacation Rental By Owner and VRBO have many options. 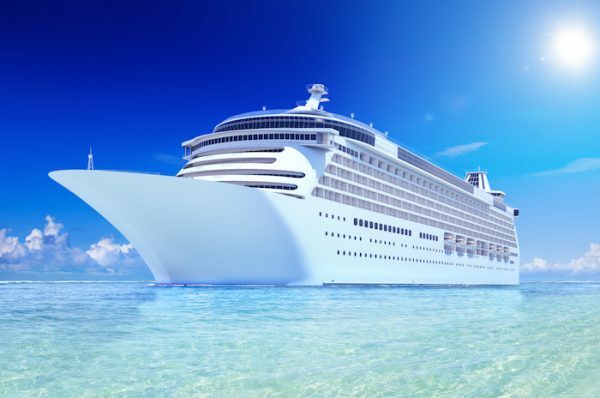 Cruises are another good idea for a multi-family vacation. Dining is included, as well as onboard activities. Alcohol and excursions are additional, but each family can do what works for them. Those on a tight budget can book a cheaper inside stateroom, while others might want to pay a little more for a balcony. (Best of all, kids are often cheaper and sometimes even free when staying in their parents’ room.) Regardless, your family can spend time together onboard at a price that each family can afford. All-inclusive resorts are another excellent option. Dining and many activities are included in the room cost at all-inclusive resorts. Each family member can book their own room, and then dine and play together without having to worry about additional costs. If you can plan your trip way ahead of time, it gives family members time to plan and set aside money for travel. What you do together is almost as important as where you go, so take time to consider the activities you’ll share. Most destinations offer a wide range of options, from family-friendly attractions for kids to arts and cultural activities for the adults. To maximize time together, choose a few activities throughout your trip that all age groups can enjoy. We’ve rented pontoon boats on Lake Ozark for a day on the lake, gone to the San Diego Zoo, and taken easy hikes together at Rocky Mountain National Park—all with fun results. There are also times when family members may want to skip out on group activities. My mom and dad skipped the days at Walt Disney World but met up with us later for meals and putt-putt golf. One important thing we’ve learned is that you don’t have to do every activity together. It’s okay if my parents need some “kid-free” time at a museum, or if my sister-in-law just needs some alone time to re-energize. Giving each other some space will ensure your time together goes well. It’s tempting to try and cram in as many activities together on your trip as possible, but we’ve found that one big activity a day is good. That gives the vacation a leisurely pace that doesn’t leave us tired at the end. Travel removes us from our everyday duties and stresses. For families, this time is crucial to allowing our relationships to grow deeper. 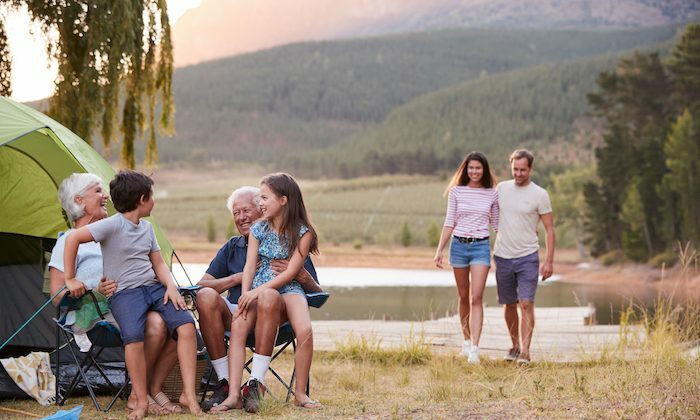 Some of my children’s best memories of their grandparents are of times we’ve traveled together, and I’ve learned to enjoy my parents in new ways. Experiencing new places and activities together can help create memories that will last a lifetime. Janna Graber has covered travel in more than 45 countries. She is the editor of three travel anthologies, including “A Pink Suitcase: 22 Tales of Women’s Travel,” and is the managing editor of Go World Travel Magazine. Packing and traveling light is packing the bare essentials, essentially. Twenty inspiring quotes that will speak to the traveler in you and, perhaps, inspire your family to hit the road!